Totke of turmeric for successful life, solution of vastu dosh through turmeric, totke for prosperity by using turmeric, how turmeric change life, astrology and use of turmeric. There are several items which are available very easily and we also use them in day to day life, these items are able to change our life in a positive way. If we have knowledge to use these items in a specific way then no doubt we can make our life successful and hurdle free. In this article I am going to reveal the secret of one of the common item which is available every where, I am talking about TURMERIC. we can use turmeric totke to over come from planetary problems. we can use turmeric totke to over come from vastu dosha. we can over come from negative energies by using turmeric totke. we can over come from money problems by using turmeric totke. Health issues can also be solved by using turmeric. Turmeric has healing power as well as some extra ordinary power and therefore it is used in rituals, pooja-paath etc. 1. As per astrology yellow turmeric is related with planet jupiter and so by keeping yellow turmeric we can enhance the power of Jupiter. 2. If any one chant the spell of Jupiter with turmeric beads then person get many benefits in life. 3. To remove vastu dosha from home, it is good to sprinkle turmeric mix water for 15 days regularly and then once in a week. 4. To increase positive energy in home, it is good to make swastik over the main entrance door. 5. While doing any business , do sprinkle haldi on papers, it will increase chances of success. 6. 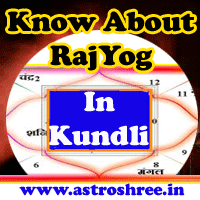 If Jupiter is weak in horoscope/kundli then do tie raw turmeric in a yellow cloth and then tie on arm on thursday. 7. Turmeric also enhance the immunity power and therefore is used with milk to drink. 8. To pass interview, do make paste of raw turmeric and put dot on forehead before leaving. 9. For prosperity do this totka on auspicious day and time- do take 5 raw turmeric, 5 betelnut and some raw rice, tie them in a yellow cloth and keep it in safe. 10. To getrid of enemy do chant the baglamukhi mantra in turmeric beads. 11. To please goddess kali ,it is good to offer beads of black turmeric. 12. While doing laxmi pooja, it is good to offer beads of yellow turmeric, it will attract money in life. 13. For monetary benefit it is good to perform the following totka on friday of navratri- take a silver box, put nag keshar, black turmeric in it and sprinkle sindoor. Chant laxmi mantra and keep it in safe. 14. If any one is facing health issues due to malefic jupiter in horoscope then do this- mix turmeric, gram, molasses in wheat flour and make three ball. Know take ball one by one and move it from head to feet 21 times and then feed it to cow. Do this 3 thursday. So by using TURMERIC TOTKA , we can make our life healthy, wealthy and prosperous. Use turmeric toke for healthy life. Use turmeric totke for successful life. Use turmeric totke for prosperous life. हल्दी के टोटके से sअफलता कैसे पायें ?